I have this book at home honestly I really like this book because it shows you how to dork your diary. I have a diary and I had it for 3 years now I don’t write diary’s any more but this book is so awesome! its a bit empty but good took me 3 days to read couldn’t stop reading. 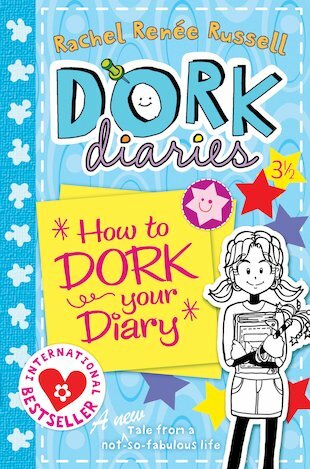 How to Dork Your Diary is probably the best Dork Diaries book yet! Not only will you get another hilarious story about Nikki Maxwell, but you’ll also get quizzes, space to doodle, advice on how to dork your diary from Nikki herself AND a whole lined section at the back of the book to start your own diary (including a flip picture of Nikki doing her ‘Snoopy Happy Dance’ during that whole section)! Buy this book as a treat for yourself or give it to your bestie for her birthday!